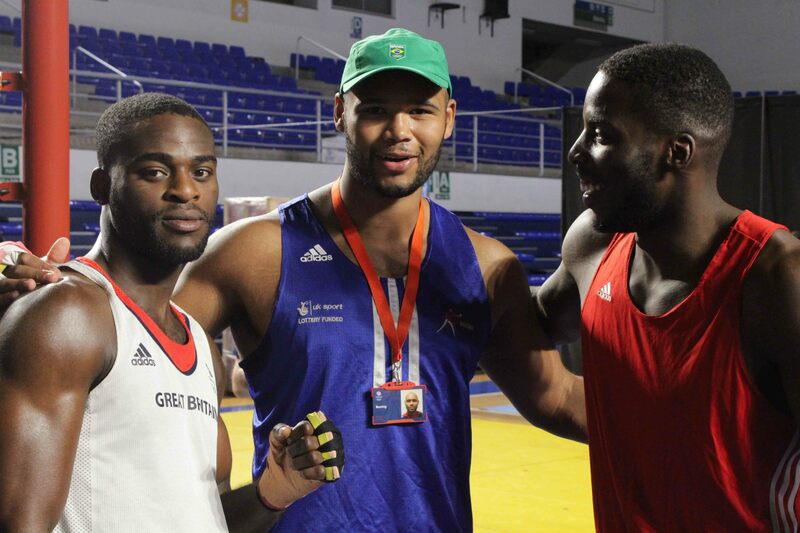 The GB Boxing Olympians are getting ready for the 2016 Olympic Games by attending a preparation camp in Belo Horizonte. Hosting the training camp is the Minas Tenis Clube, which is also hosting preparations for other Team GB combat sports such as taekwondo. The team arrived in Belo 23 July and will spend a total of nine days at the camp before they fly to Rio on 31 July. Those attending the training camp include the twelve Olympians, eight sparring partners and the GB Boxing support staff to ensure that the team are training at their full potential in the run up to the Olympics. This is also a great opportunity for the sparring partners, whose aspirations will be to follow in the footsteps of the boxers they are training with. Attending this preparation camp in the run up to the Olympics will help the athletes adjust their body clock to Brazil time (4 hours behind UK time) and reduce any travel fatigue as Belo is only a one hour flight to Rio. The preparation camp in Belo is the last push for the boxers before they head to Rio and consists of three training sessions per day. The sessions include a variety of morning runs, sparring, shadow boxing, yoga, strength and conditioning and tech shadow. The boxing schedule for the Olympic Games 2016 can be seen here.